THE government has delayed to table in Parliament on Tuesday a report on the Credit Suisse loan of US$500 million (K1.5 billiion) that was borrowed to finance the deficit budget. Deputy Prime Minister and Treasurer, Charles Abel told Parliament that the delay is because the government had to seek legal advice. 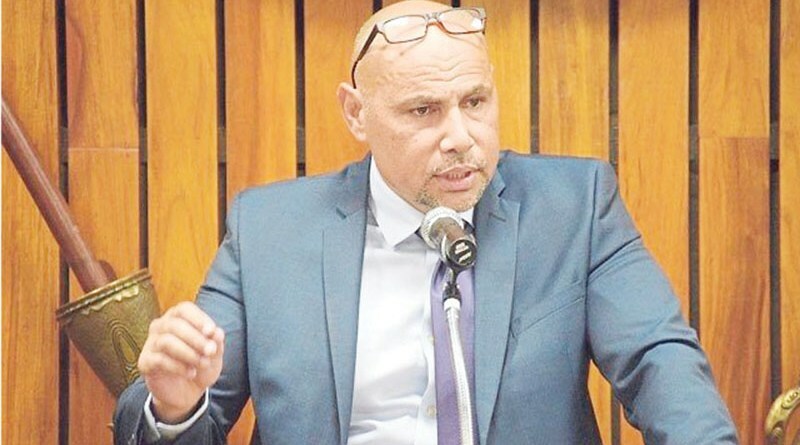 He said the government has already drawn down US$310 million (K979 million) even though a condition in the loan stated that it should be tabled in Parliament first. Mr Abel said the balance of US$190 million (K600 million) would be made available once the loan agreement executed between the Credit Suisse Bank and the Government in July last year was tabled in Parliament. He pointed out that the agreement was for the state to borrow up to US$500million to finance the budget deficit. “Given the legislative requirements, the department of Treasury is required to table copies of the executed loan and guarantee agreement for the purpose of informing Parliament,” Abel said. “All loans and guarantees issued by the state are governed by these legislations and require compliance of the borrower, the state to inform Parliament,” he said. He said the Credit Suisse had inserted this condition on the state to table a copy of the executed loan agreement in Parliament. He added that the government had already drawn down US$310million (K979million) in two separate tranches-US$200million (K640million) in August 2016 and US$110million (K352milliion) in January this year. “It is now necessary that the State complies with this condition to enable Credit Suisse to disburse the remaining balance,” Abel said.